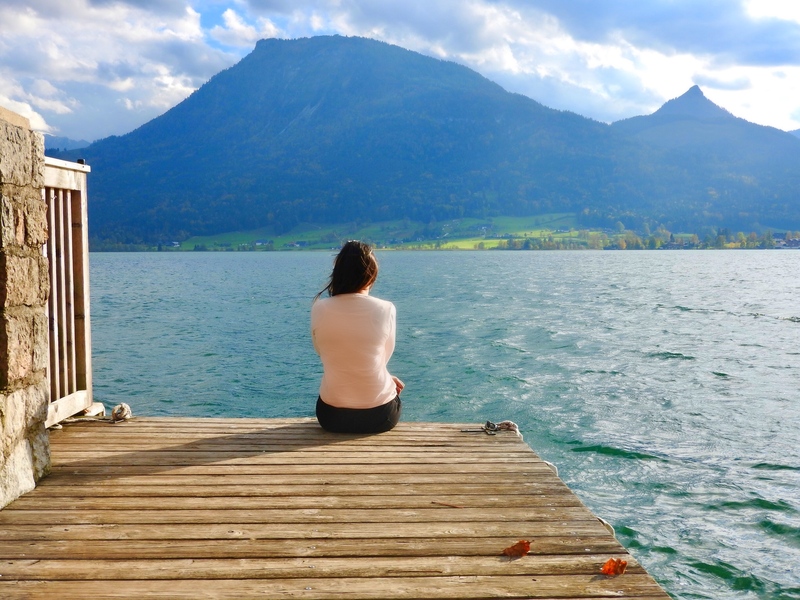 Salzkammergut, popularly known as the Lake District, is one of the prettiest destination in the heart of Austria. 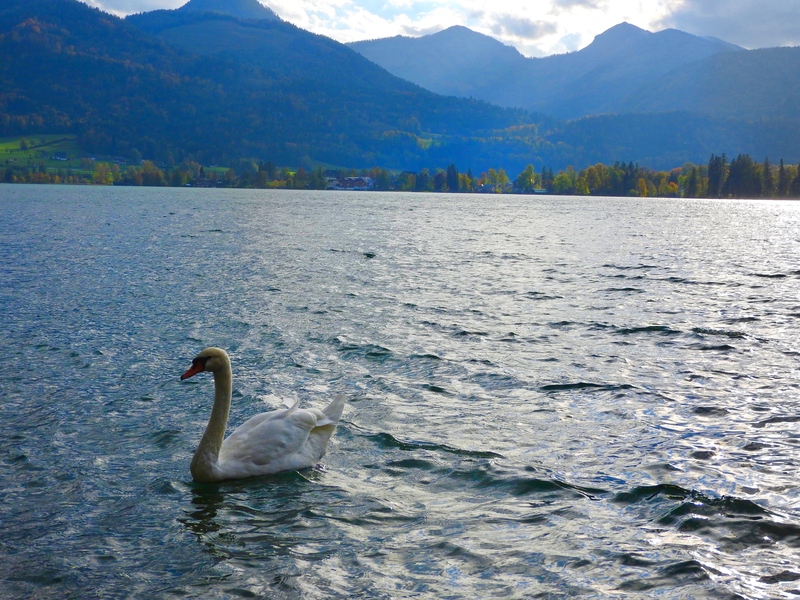 It has more than 70 pristine lakes, some of which like the Lake Fuschl are so clean and clear that it is considered to have drinking water quality. 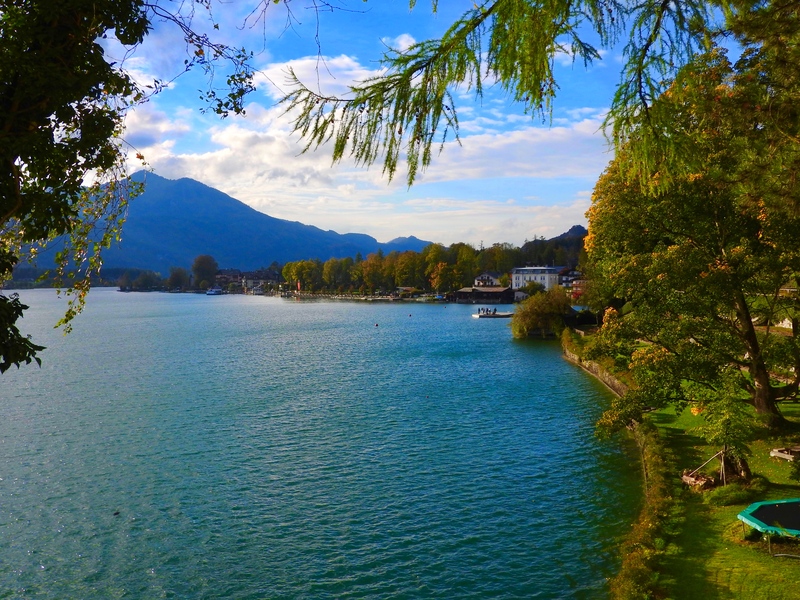 Today we want to talk about one of the most popular towns in Salzkammergut, the postcard-pretty, St. Wolfgang. 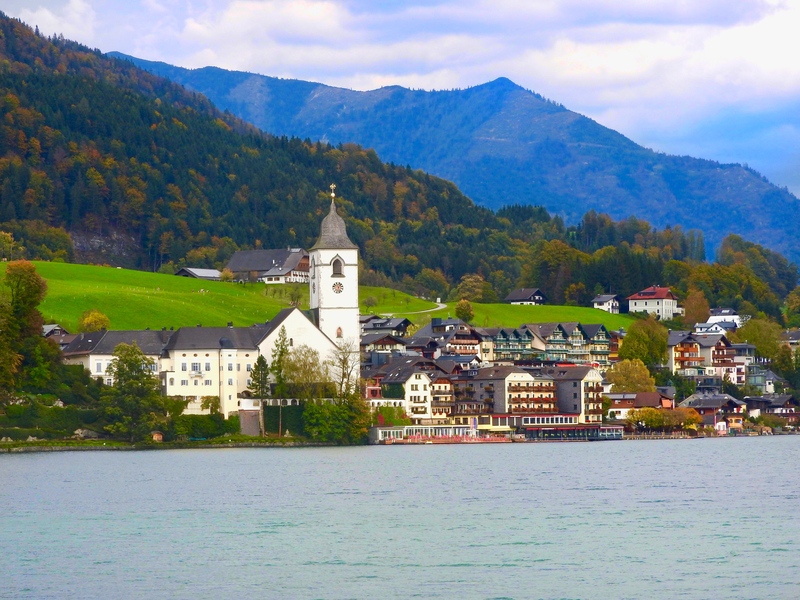 St. Wolfgang is the quintessential Austrian town by the lake. 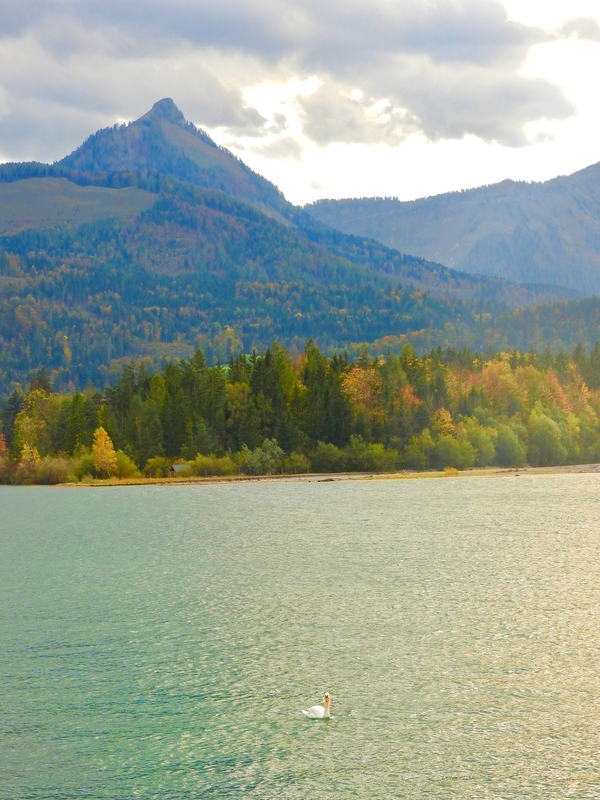 The cobbled streets, legendary waterfront scenery, cute houses with slanting wooden roofs and decorated balconies, cosy restaurants, and a historic church makes St. Wolfgang a perfect setting for a memorable trip. One can visit St. Wolfgang as an easy day trip from Salzburg, and since we were on a very tight schedule we decided to go on a guided tour with Panorama Tours, which we truly enjoyed. 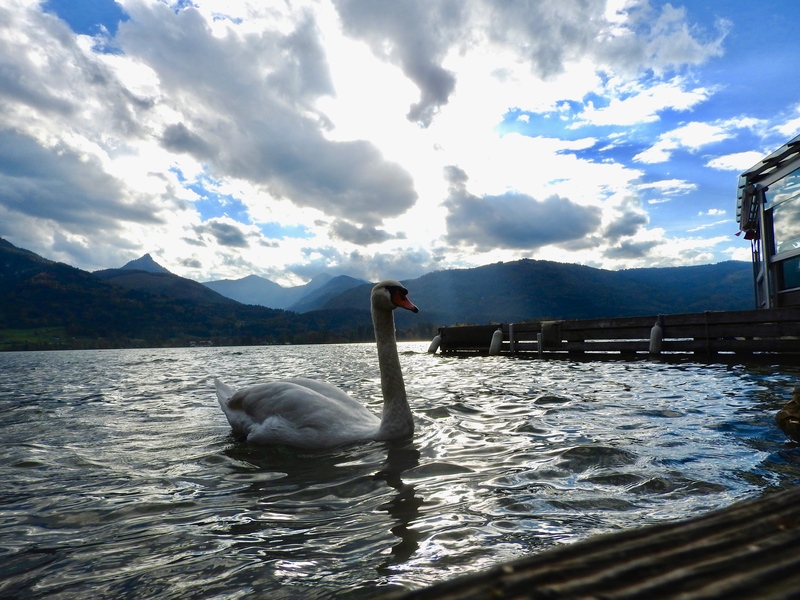 On our way to St. Wolfgang we crossed Lake Fuschl and heard interesting tales about Emperor Franz Joseph and his wife Sisi who played a major role in making this district popular with tourists instantly post their honeymoon visit. We concluded our drive at St. Gilgen from where we took a huge boat (included in the tour price) to our final destination, St. Wolfgang. The boat ride was undoubtedly the most beautiful part of our entire Europe trip. The water beneath was crystal clear, the air so fresh and the view from the deck heavenly! Once we reached St. Wolfgang we were given a bit of briefing and instructions and we were set loose to explore the town all by ourselves. A lot of people went straight to the church but we went ahead to explore the waterfront. We had initially planned to have a romantic lunch at one of the many beautiful waterfront restaurants, but then we got so engrossed in clicking pictures of the pretty swans and just observing them that we realized we were a bit short on time and still had a lot of things to cover so we thought of skipping lunch, and instead roamed around the cobbled streets, enjoyed the romantic views and concluded our short little wandering spree at the church, which by the way has the most amazing view of the lake. On our way back from St. Wolfgang we didn’t take the boat, instead, we drove back taking a different route so that we could see some panoramic views of St. Wolfgang, from the other side of Lake Wolfgangsee. 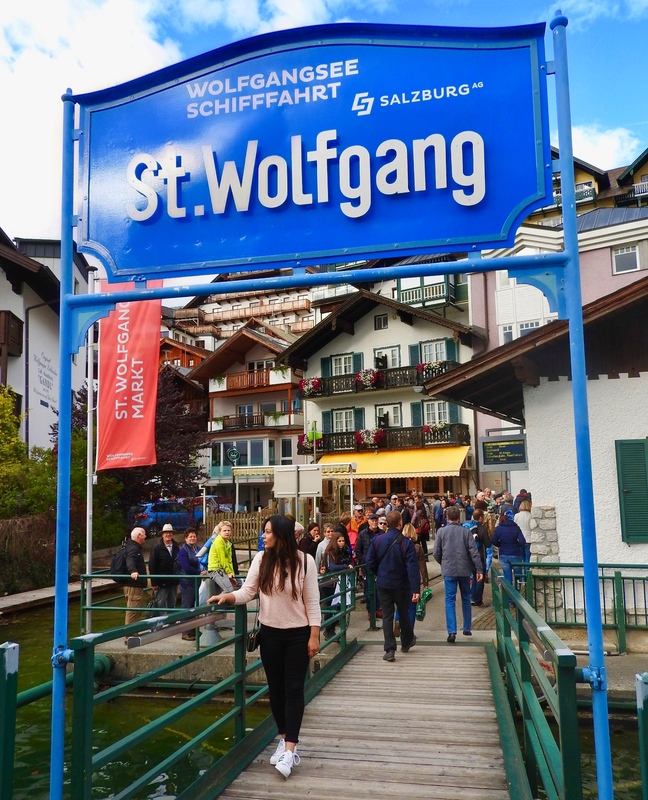 We also had some time to roam around at St. Gilgen, so that was a huge advantage on the tour. Our guide Bettina was extremely personable and told us lots of stories about the history of St. Wolfgang and the entire Salzkamageut region. 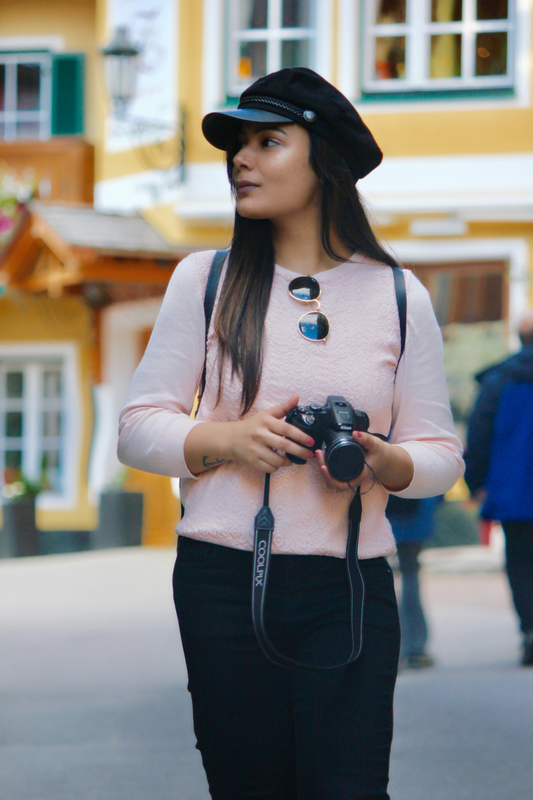 She herself is an avid travel writer and an excellent artist and we would urge you all to go through her works HERE. 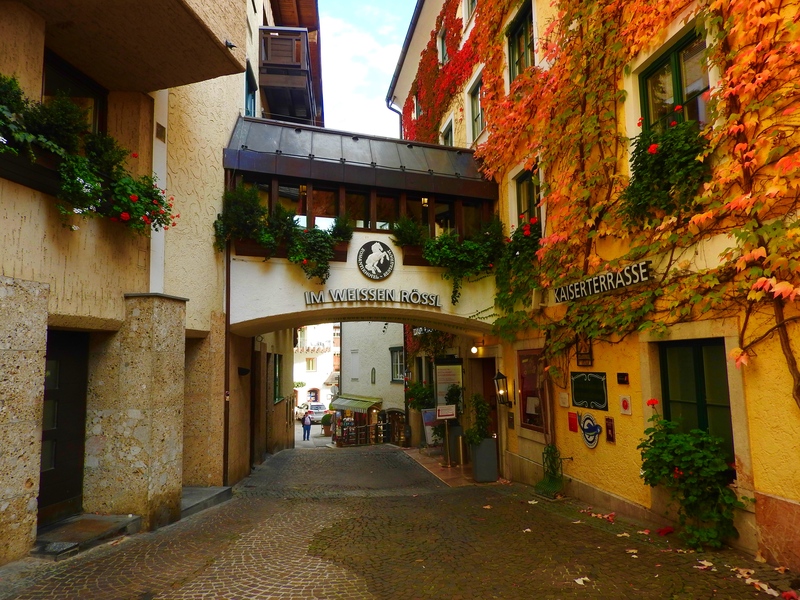 We visited St. Wolfgang as a day trip from Salzburg, but would love to come back someday and spend at least 2 full days in this lovely small little town and experience the culture more up – close and personal. 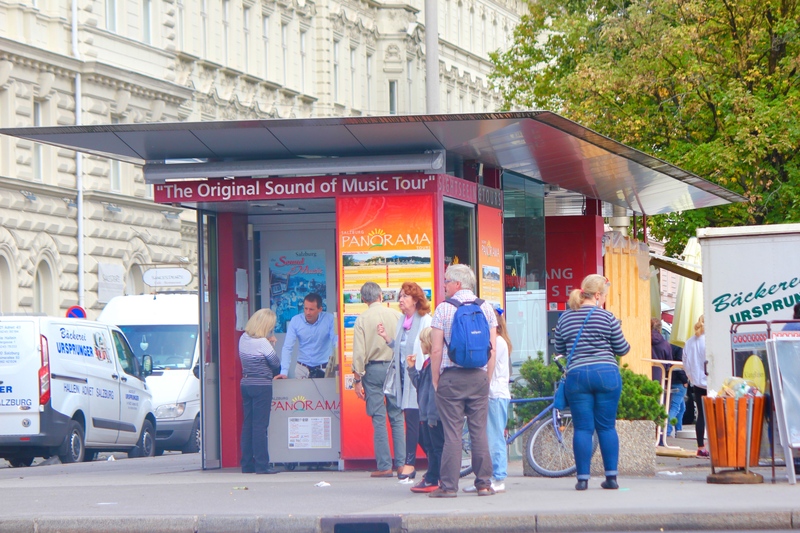 We would also like thank Panorama tours for making this trip perfect! You can visit their page HERE and know about the several tours they operate throughout the year.